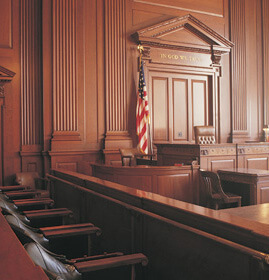 Gender Discrimination Attorneys San Francisco, CA | Bracamontes & Vlasak, P.C. Despite that under California law, it is unlawful for employers to discriminate against workers or job candidates on the basis of gender, workplace gender discrimination still often occurs, especially in traditionally male-dominated professions or trades, such as finance, technology, construction, and the like. Bracamontes & Vlasak, P.C., stands up for all workers. We represent both female and male individuals and protect against workplace gender discrimination. Our employment law practice serves San Francisco, the Bay Area and Northern California. Call us today for a free consultation if you believe you were mistreated because of your gender or perceived gender. If you believe you are suffering gender discrimination or harassment at work, it may be very stressful and confusing on a daily basis and begin to overwhelm you and consume your entire life. At BV Law, we understand that and can guide you in seeking the smartest course of action, both legally and practically, considering your entire circumstances, financial, emotional, and otherwise. What that takes is someone who both knows that law and wants to help. At BV Law, all of our experienced and committed employment lawyers have adopted the BV legal philosophy and are ready to help. Call BV Law today to arrange a free consultation with our gender discrimination and harassment attorneys. You can also contact our office by phone at 415.835.6777.